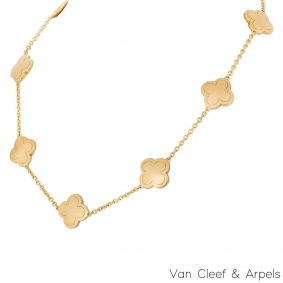 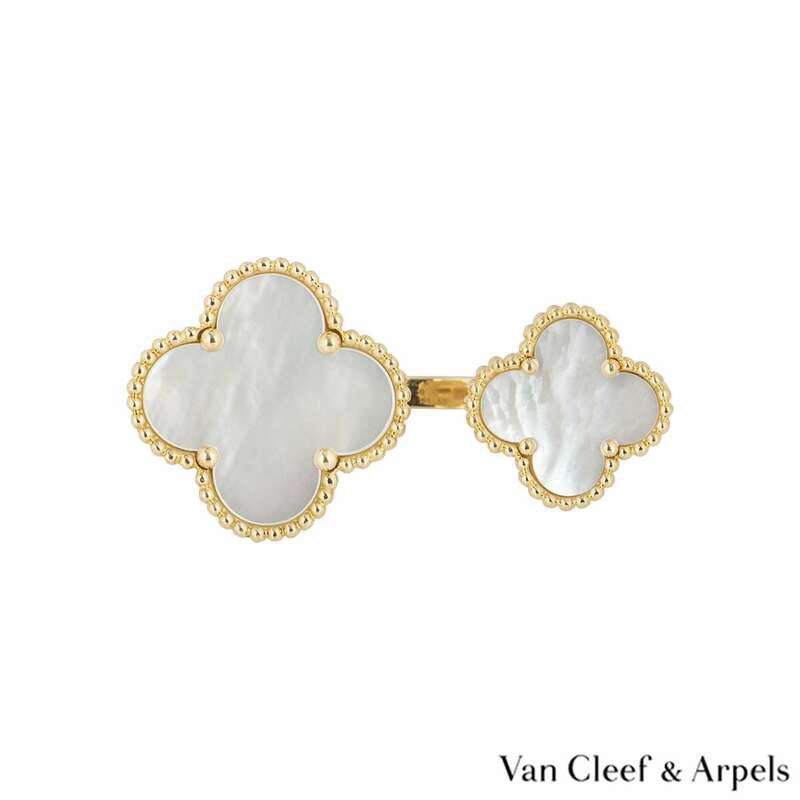 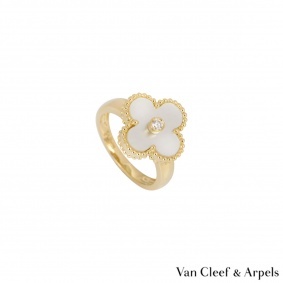 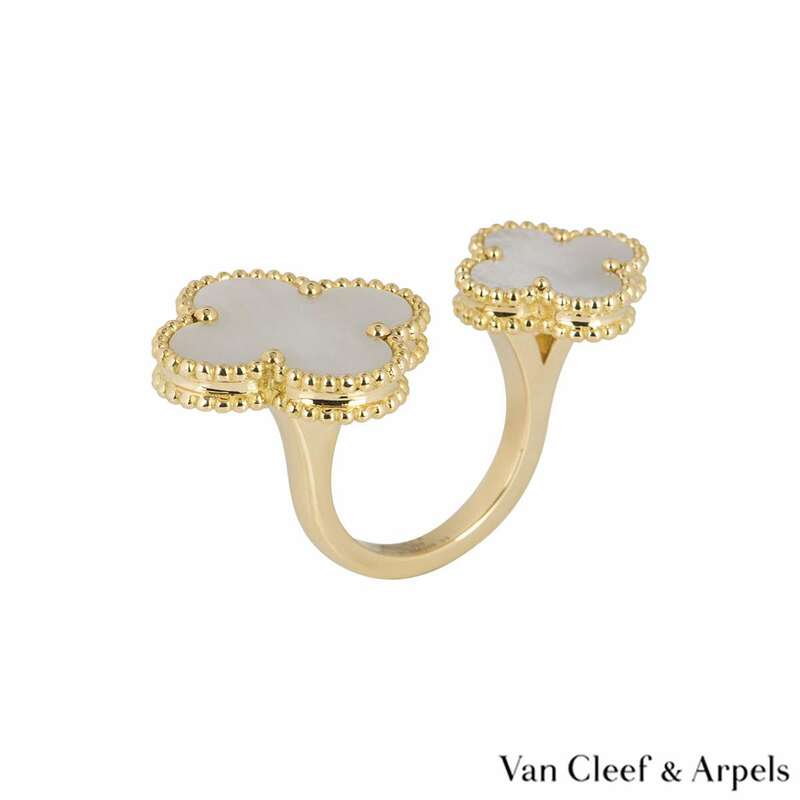 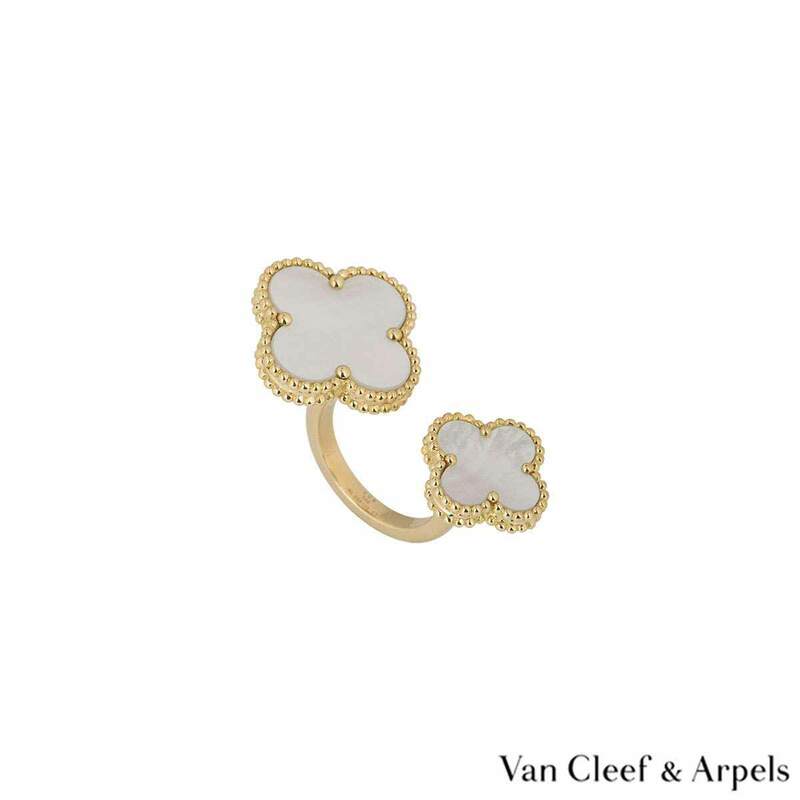 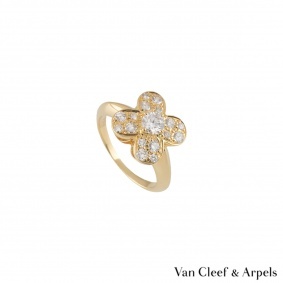 An 18k yellow gold Magic Alhambra Between the Finger ring by Van Cleef & Arpels. 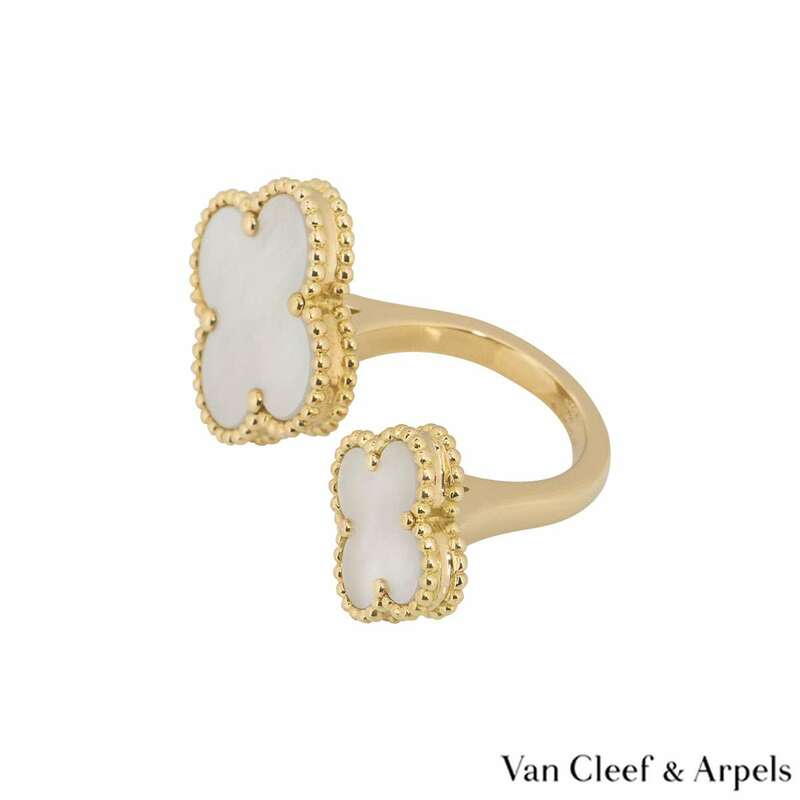 The ring features two clover motifs of different sizes, each set with a mother of pearl inlay and a beaded outer edge. 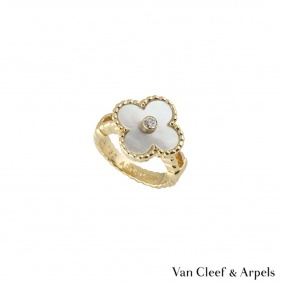 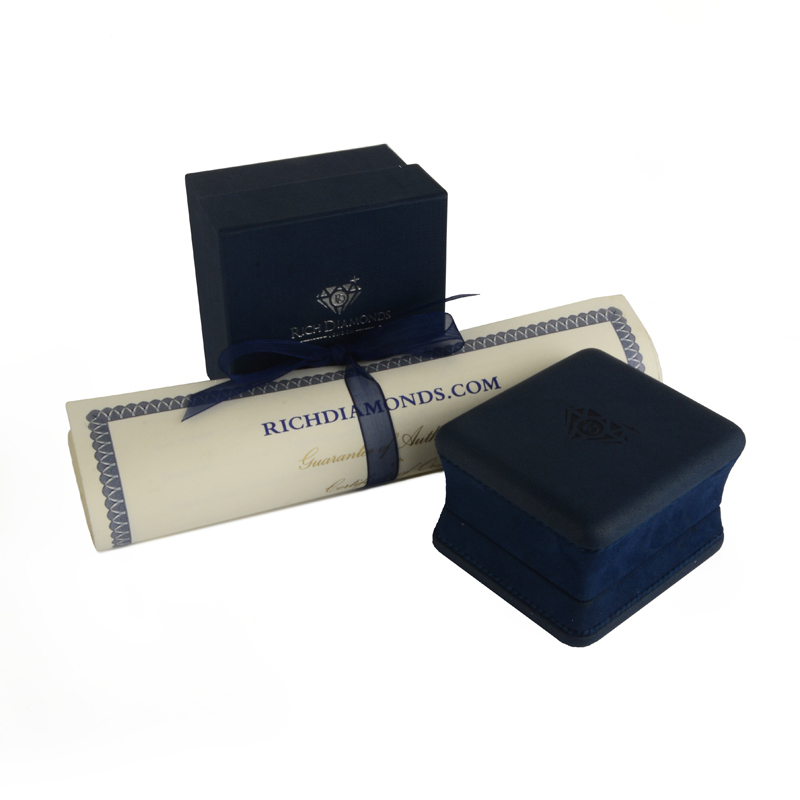 The ring measures 4cm at the widest point, is a size 53 and has a gross weight of 15.59 grams.